Happy 2019! This year will be BGF’s 30th Anniversary, the year we celebrate 30 years of togetherness. 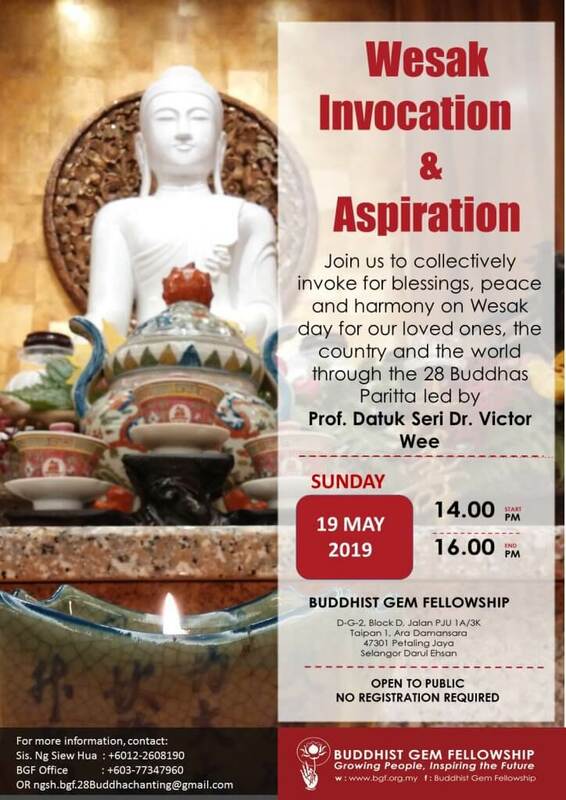 We would like to invite you and your family including your friends and relatives to BGF on 9 March 2019, Saturday for Offering of Lunch to the Maha Sangha followed by Hymns performance and sing-a-long session. This year, our theme is “Celebrating 30 years of Togetherness” and we are glad to share this joyous occasion with you. Do join us on 9 March, Saturday. Your attendance is important to us. You are most welcomed to bring along offerings to the Maha Sangha.